When you have a broken glass window or door at your Denver area business, it is critical to get it repair immediately! Broken windows and doors can cause a safety concern for your employees and customers. It is also a security issue as a broken window or door is an invitation to criminals to get in. If the glass in your company's windows or doors is broken, call the commercial glass repair and board-up specialists at Santa Fe Glass. We offer businesses throughout the Denver metropolitan area 24 hours a day, 7 days a week emergency glass repair and board-up services. Broken glass at you business can happen for a number of reasons. Vandals, bad storms and accidents are some of the most common reasons for broken glass doors and windows. Santa Fe Glass specializes in commercial glass repair and board-up services. Our glass professionals understand the intricacies of commercial glass and are able to make repairs as soon as possible. When you have broken glass in your Denver metropolitan business, make the first call to Santa Fe Glass at 303-777-4491. The only question you have as a business owner in the Denver area when you have broken glass is how do I get it fixed as soon as possible? The answer is easy...Santa Fe Glass. When you call us, we sill immediately dispatch one of our commercial glass experts to make the needed glass repairs or install temporary board-ups to secure your company. The glass that we use in the replacement will meet or exceed your previous glass type. No matter the time of day or day of the week, Santa Fe Glass will be there immediately to make repairs and get your business back to normal and secure. When you have a glass window or door broken in your Denver metropolitan business, make the first call to Santa Fe Glass. We will immediately dispatch one of our professional glass repairmen and get repairs and new glass installed. 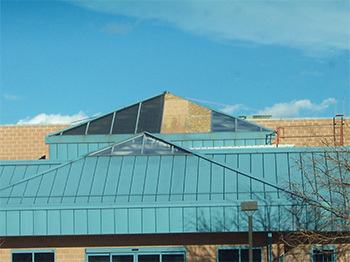 Call us at 303-777-4491 to learn more about our commercial glass repair and board-up services. You can also reach us with any commercial emergency glass repair and board-up service questions that you may have through our Contact Us page.